csp, I thought it was the same guy but couldn't be 100% sure. It makes sense, if so, that the flat earth movement of truth, which need only rely upon demonstrable facts in nature to prove the issue beyond any shadow of doubt, and without referencing any particular corporation's holy book, is being commandeered by nefarious forces who used the overt "Jesus" theme at Shillfest 2017 to hoodwink (a Masonic term) those who can't even perceive they're being manipulated. We have the players, such as Steere (aka, FEOHP, LLC) and Sargent, and we have the ones being played; some sincere Christians who just haven't figured it out yet, and no doubt, some acting as Christians. In other words a big circus; a lightning rod to attract the maximum amount of ridicule possible. I personally didn't find Hummer's theatrics convincing at Shillfest, and I find the above video disturbing. I'm guessing neither Hummer or Cavanaugh will accept the invitation to come here and provide us the information. We can't even find the name of their charity in the State database they claim they're headquartered in! How sad is that?! And though I, at least, have no proof Freemasonry is involved in this (other than suspicions heightened, for example, by the above video), it would make sense that a "hidden hand" player in this struggle is the same outfit guilty of promulgating/promoting the false ball paradigm that has ensnared us all these years. And who is at the helm of that "Controlled Opposition, where they sell holograms, magiacl wuwu, with bible babel," as Schpankme pointed out, if not the same Agency of Deceit Hitler valiantly fought against in his day? And we all know that the forces against Hitler yesterday/today, are the same forces at play in this present struggle, because they weren't vanquished then! A curiosity I have, and one that will probably never be answered, is if any of these prominent (pretend flat earth) players waging war through deceit are in fact Freemasons. But as a side note, those pompous Christians (forgive the years I was one if I ever tried to convert you), sure do know how to set up those 501(c)(3)'s! I get the shilliness with the documents and not providing them immediately etc, but sure as helll accepting the contributions immediately. That is absolute valid criticism. You can get the answers to these questions and more, as long as you pay them. 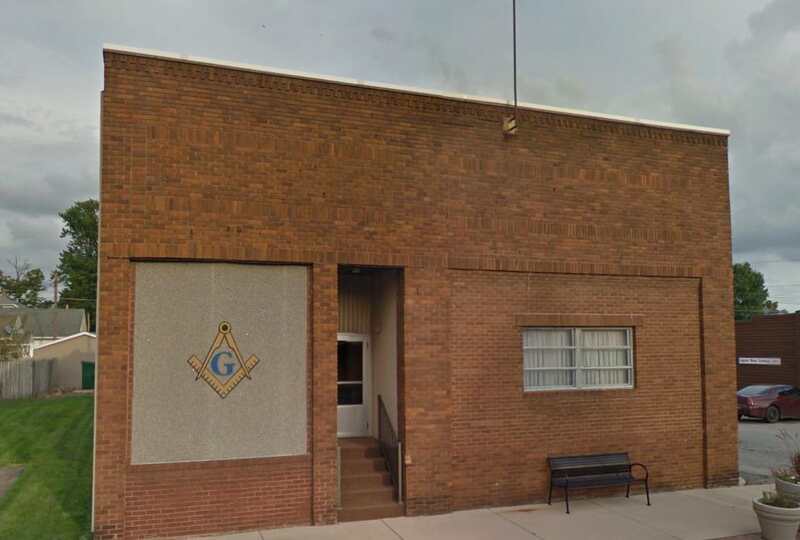 Came across the Masonic Lodge in North Liberty while searching 501(c)(3) database. The EIN is 23-7165988. Seems Pastor Tim finds his oath(s) taken in the Masonic Lodge not at all in conflict with his Christianity. Somebody needs to tell Mason Brother Pastor Tim that he's not keeping up with the annual requirement for filing Form 990-N with the IRS. Last one filed, 2015. Slacker. "To all of which I do solemnly and sincerely promise and swear, without any hesitation, mental reservation, or secret evasion of mind in me whatsoever; binding myself under no less a penalty than that of having…. Entered Apprentice Degree: "..my throat cut across, my tongue torn out, and with my body buried in the sands of the sea at low-water mark, where the tide ebbs and flows twice in twenty-four hours, should I ever knowingly or willfully violate this, my solemn Obligation of an Entered Apprentice." Master Mason Degree: "..my body severed in twain, my bowels taken thence, and with my body burned to ashes, and the ashes thereof scattered to the four winds of Heaven, that there might remain neither track, trace nor remembrance among man or Masons of so vile and perjured a wretch as I should be, should I ever knowingly or willfully violate this, my solemn Obligation of a Master Mason." It should be noted; we have two things going on here. 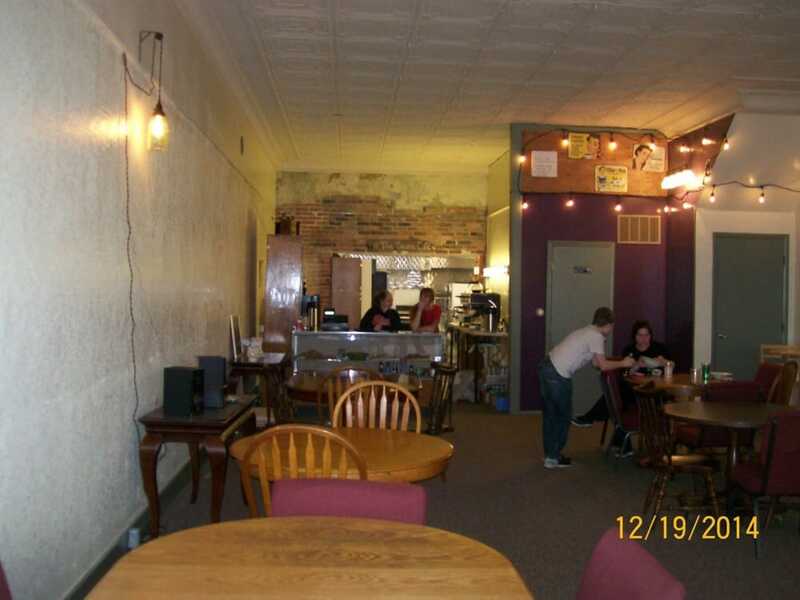 Incorporating within a state, and then that corporation seeking 501(c)(3) status from the IRS. He goes on to say, "As soon as those return you are a legal 501c3 and can accept donations without approval of the IRS. Those approvals can last from 3 to 12 months...."
AND UNDER MY VERY FIRST REQUEST FOR THE INFORMATION PUBLICATION 4221 ENJOINS HIM TO PROVIDE, HE WRITES "GOOD LUCK WITH YOUR WITCH HUNT." So the problem (as I see it) is tracking down the State in which FECORE filed as-- what Mr. Cavanaugh calls, a "foundation." Looking at their website it is shown as "FECORE Inc."
Yet that name is not listed in the database of the State of Indiana (that we've been able to find, even with the assistance of the Secretary of State's office). Notice that Mr. Cavanaugh didn't volunteer the State in which the "foundation" was registered in. And further claims that they can collect gifts from people from inception of the corporate entity without proving they have applied for 501(c)(3) status, and that they are free to do that during the "3 to 12 months" it takes the IRS to approve/disapprove the application. 1) Form 1023, Application for Recognition of Exemption Under Section 501(c)(3) of the Internal Revenue Code. 4) the exemption ruling letter issued by the IRS. (which they would not have until the IRS approves/disapproves the application, which according the Mr. Cavanaugh can take from 3 to 12 months. Yet because Mr. Cavanaugh finds that "judging by [my] previous comment [my] attitude is very annoying and therefore [he] will direct [me] to foundation group for any questions about legal." Well, when Mr. Cavanaugh directed me there, he also knew that RICK HUMMER is the point of contact at Foundation Group (https://www.501c3.org/), and that they wouldn't offer me ANY information other than RICK HUMMER is the point of contact. IT APPEARS FOUNDATION GROUP IS FREE TO REGISTER FECORE IN ANY STATE (my assumption, since it can't be found in the Indiana database), yet Mike Cavanaugh, most transparent President and Chairman of FECORE Inc, doesn't even think it pertinent to tell me what state RICK HUMMER directed Foundation Group to incorporate it in. I went through all of them doing a business name search, except Wyoming, and did not find any occurrence of "FECORE" at all. I couldn't get Wyoming to work no matter which browser I tried. Quote Hummer, "And just so you know, I'm not afraid to admit; I put it under my own Social Security Number because I believe God's watching over this project. I have faith and I'm not afraid of any man nor any government. Okay? They're not going to put the squeeze on me. They can squeeze [inaudible]. Look, I want to show you something; look at the back of my neck. Pull that down. What do you see back there? [a woman interjects, "oh, it's a tattoo"] It says Alpha & Omega and One(?) symbol, so if they ever come to cut my head off, the last thing they're going to see, is whose got my back. Okay?" Steere then says, "thank you, Rick." He then tries to add yet some more but Steere keeps talking over him, ignoring him. JeranISM involved in the paperwork. Go figure. "Flat Earth International Conference 2017 Part 10 Q&A"
Thanks to NUIKE49 for the heads up. I think it relevant that I post this quote here, though some may take exception to it coming under a heading dealing with FECORE. But in light of the fact that there is an amalgamation of forces fighting our cherished truth that we do indeed live on a stationary horizontal plane, I'd like to share it. Eric Dubay has boldly gone wherever the truth leads, never shying away from unpopular topics, and he (I believe, though I do not pretend to put words in his mouth, only relying on his published works), will agree that the international Jew, Freemasonry, and various and sundry false religions promoting their own copyrighted "holy" books-- each faction's book at odds with the other-- prove themselves opponents of our own guiding purpose to follow truth wherever it leads, and the joy derived in the journey that purpose provides us. For has he not been of the vanguard of men and women of integrity exposing those enemies in these days? Seriously. Who has been more willing to not shy away from unpopular truths our detractors claim ruins the message that we live on a stationary horizontal plane?! There no doubt are others, but I'll have to think about it for awhile to provide name(s). Apparently those enemies never pause to consider that various truths easily commingle together in harmonious fashion. It is therefore my pleasure to leave this quote as a testament to the vileness of those lacking the integrity to call a spade, a spade, and who, in fact, go about with impudent faces in grand productions devised for the sole purpose of ridiculing the truth we cherish, and by a man who, Mike King (www.tomatobubble.com), is fond of calling "The Great One." Maybe you guys have already seen it, but FER3 and others have sleuthed some more information on the possible connections of Shamrock/Mennonite/FECORE (whoever controls the particular Shamrock entity in question). I just wanted to say, I honestly, authentically, and genuinely love, all of you guys. Anyone on IFERS, exposing these folks and doing due diligence to find answers, are not on only inspiring to others, but you are without fear. FE Core, is not what they appear to be, which is why Mr. Jeranism hasn’t returned any of my emails since the conference. I might note, prior, he was always responding to me always in a timely manner. This is and always has been about money. Those of us trying to do real activism and spread the truth of our home, don’t make a dollar, or make enough to maybe pay for ink, we used to print our flyers. I don’t know what the answer is to this controlled opposition group, but we need to have some togetherness in the “real flat earth” community. IFERS is a big part of that, and a lot of credit goes to Eric and all of the folks in here doing amazing research. I just want change. I want the kind of change Eric talks about when he refers to a beach ball being pushed under water, rushing to the surface, and “exploding” outwards when it reaches the surface. And the FE Core, is not that change, in my humble opinion. Hope I make it onto Del’s show today. All you guys be safe, healthy, and God bless you for spreading the truth about the most important topic in human history. Thank you to everyone involved here @IFERS, you give me inspiration everyday! markwilson wrote: Maybe you guys have already seen it, but FER3 and others have sleuthed some more information on the possible connections of Shamrock/Mennonite/FECORE (whoever controls the particular Shamrock entity in question). Still looking for a better connection. This is just around the corner from Unique Tooling (owned by Tom England). ForeverFlat wrote: I just wanted to say, I honestly, authentically, and genuinely love, all of you guys. Ditto for me, ForeverFlat. I relish this newfound knowledge of our plane and there is no doubt I will do so for the rest of my days. And like you, I so appreciate fellow lovers of truth who aren't afraid to be ridiculed for clinging to the truth, and pressing in for more knowledge of our Creator's purpose and our destiny in that plan. As you can see, he filed that paperwork in 1975, long before the advent of the internet we have today. I find it interesting that somebody has archival information of my dad's "fictitious" business name filed 43+ years ago now. I wonder how long that cyber-document will be subjected to the internet's grasp before breaking free of its tentacles? Dad had a legitimate business. He did it not too long after I'd left the house to join the Army and so I know there are obvious business reasons for incorporating, though I haven't bothered to even consider what they are for the small business. I assume it has to do with protection in case of lawsuits, taxes, etc. 1) What is the exact name of the FECORE, Inc., entity, used for the purpose of incorporating said entity, and in which State are the Articles of Incorporation filed? 2) Pursuant to IRS Publication 4221, this is a request for public viewing of IRS Form 1023 and "all documents submitted with Form 1023...the IRS requires the organization to submit in support of its application" for 501(c)(3) charitable status. 3) Request the above information be provided under the above IFERS thread for public viewing ---or at a minimum, answer this text pertaining to the two questions posed in 1) above, and provide a link for public viewing of the documents at 2) above. Robbie Davidson, who was in today's Globebusters chat (11/19/17), and had a wrench, claimed FECORE, Inc., is registered in the State of Indiana. "FECORE" is NOT located in the Indiana Secretary of State database as a legal entity operating in Indiana. markwilson wrote: Robbie Davidson, who was in today's Globebusters chat (11/19/17), and had a wrench, claimed FECORE, Inc., is registered in the State of Indiana. Sounds like little FECORE is committing some fraud, I'll be sure to drop some comments on their videos this evening to ensure the public know, I suggest some others do as well. 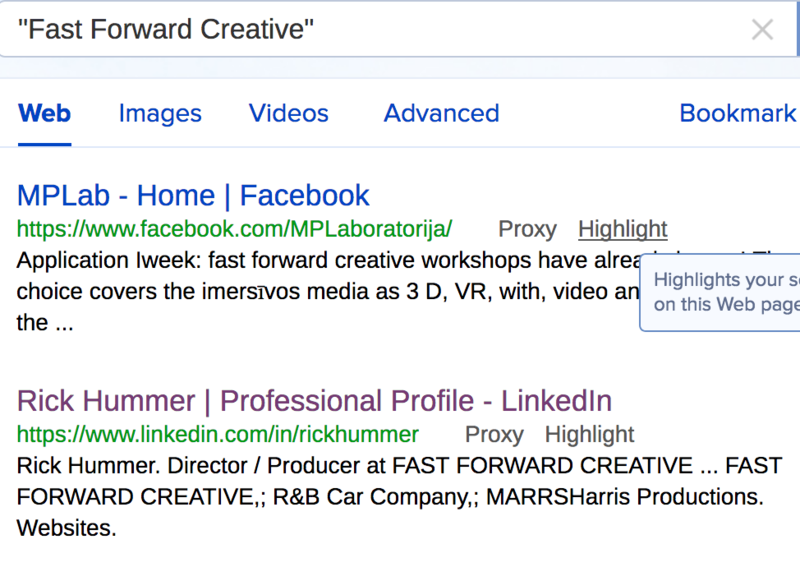 After that search, I searched "Fast Forward Creative." Both of them are 'about us' pages. Would you say both websites have the same distinctive style? Note in particular how both sites like to have the pictures of the parties highlighted by way of a genie/scale effect when scrolling down to them. Possibly a common author behind both? And recall, Dr. Zack's style was employed in the FECORE launch video (in my opinion). Whose got your back, Bob Knodel?! Same guy who communicates with imagined future executioners by way of a tattoo on the back of his neck? I don't have a LinkedIn account if anybody wants to investigate that trail. QUESTION: HOW MUCH MONEY IS BEING THROWN AT THIS, WHOSE MONEY IS IT, AND IS RICK HUMMER MAKING HIS PROFESSIONAL ASSETS AVAILABLE TO IT'S CAUSE? Maybe Rob Skiba can register here and come tell us what he knows about his good friend regarding all of this. Heck! Maybe Rob would like to tell us why he lacked the rectitude to decline accepting an award from the Toxic Twins, who do nothing but bring ridicule to flat earth knowledge wherever they trek. I can't remember, Rob Skiba; did you receive your award before or after IPS received his coveted award? Why did "Tom England" use his name to register "FECORE.org"? Is "Rick Hummer" an alias for "Tom England"? Is "Rick Hummer" the contact between Metatron and FECORE? It looks like Metatron and it's data mining app received funding (revenue) through an inside deal with NASA to promote music in Fake Space on the ISS. The reggae artist, Casey Turner, claims to have previously worked for NASA; and states that NASA approached him to promote his music in conjunction with Metatron Inc. 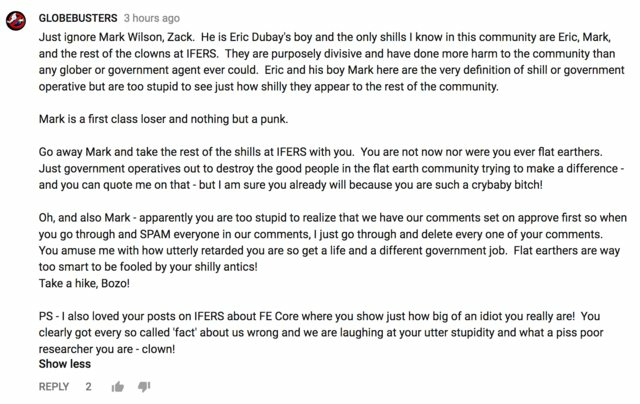 Here we have Flat Earth Reset hot on the trail of these "FECORE Sham-rocks", where his recent video continues connecting the dots. All this coming from the guy who gladly, STILL, to this day, associates with the Toxic Twins and colludes with them to bring ridicule upon flat Earth knowledge and this truth movement with all their scripted clown shtick. Can you say "sycophant," Bob? I knew you could. What about "IPS," Bob? Can you say "IPS received a coveted Flattie Award at Shillfest 2017"? I knew you could. [Edit: I went ahead and asked Bob under that thread why he's lurking around IFERS and what his nom de plume is. How pathetic is that! Lurking around here undercover, taking exception to this thread, but without the backbone to come in here and address the posts he admittedly "loves." Can you say "sycophant," Bob? Bob Knodel has always been a Balltard, he thinks duping or extorting the flat Earth people for money is acceptable behavior. Back on the 27 July 2016, Bob Knodel was exposed as being part of the "Flat Earth Society" with the username "TheEarthIsASphere"; this after he made the same derogatory comments about Eric as he has about Mark Wilson above. After Bob Knodel was exposed here on IFERS, the account known as "TheEarthIsASphere" started deleting comments, including the one documented below. Oh look, another tactic used by flat Earthers! Derailing the thread because they know they're wrong, and just want to be asshats about it! You have single handedly caused more derision, division, and discordance than any 50 shills ever could! You are a pathetic little loser and you will pay for your intentional destruction of everything that is good about this awakening! Note, how "GLOBEBUSTERS" aka "TheEarthIsASphere" uses an exclamation point to end each sentence, he also includes the word "asshat". You will also see in the response to Mark Wilson above, that Bob Knodel continues to use the "exclamation point" through-out his diatribe, as if this some how makes him more relevant. 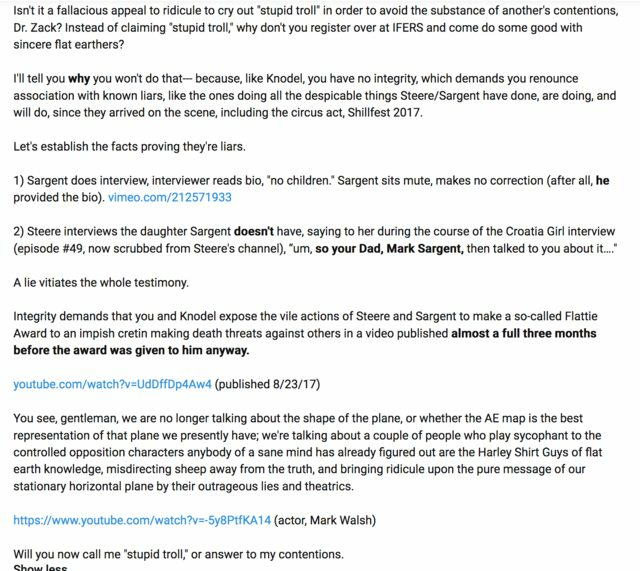 I don't mean to hijack this thread devoted to another purpose, but did want to conclude what happened after Knodel's rant above. I invite Knodel, who lurks here without identifying himself, and/or Zack to come here and openly answer to my charges against them. I won't post anymore such messages, but felt compelled to since I shared the one above, and it involves two of the people joined at the hip with FECORE and the S&S Traveling Circus Act. You're a master matching writing styles Schpankme, nice work. markwilson wrote: I invite Knodel, who lurks here without identifying himself, and/or Zack to come here and openly answer to my charges against them. We'll get the requested documents eventually. They can't refuse to provide documents that a 501(c)(3) entity must provide. Eventually the organization will appear in the Indiana Secretary of State database as "FECORE Inc." and also the the 501(c)(3) paperwork will appear in the IRS database. At that point we'll see if the filing date matches up with what has been documented here that President and Chairman, Mike Cavanaugh, has provided us. We will also see if the IRS had received Form 1023 application "as of October 17, 2017" for pending approval. An interesting point to remember; Rick Hummer spun the tale of a postage snafu at Shillfest 2017, several weeks after Mike Cavanaugh claims an "as of" date of October 17. It should also be noted that an individual in the audience thought a 508 (or perhaps 509) filing was the preferred way to go for FECORE. Does anybody else think it strange that Rick Hummer seemed to be vacillating between a 501(c)(3) and 508/509 path to take as late as a Q&A session during Shillfest 2017? It just seems to me that the short answer he would have provided is, "we already have our Articles of Incorporation approved in the State of Indiana and the 501(c)(3) application was submitted by Foundation Group and is pending approval with the IRS as of 17 October 2017." Much revealing information will be divulged in the IRS Form 1023 worksheet and all the documents required to be filed with it, which they must also make available. "Note: If exempt status is approved, this application will be open for public inspection." "Remember that if this application is approved, it will be open for public inspection. Therefore, your narrative description of activities should be thorough and accurate." ● All other attachments, including explanations, financial data, and printed materials or publications. Label each page with name and EIN. Lies, on lies, on lies. Mike wants to run a non-profit, taking donations to do experimentation, but DOESN'T want to share his credentials? What an absolute farce. We now have it on good authority that FECORE stands for "Field Engineers Collective Operation Researching Earth." That good authority is none other than Rick Hummer himself in the below Truth Frequency Radio interview published November 5, 2017. Recall that on Sunday's "Globebusters" show (November 19, 2017), the principal players, including Rick Hummer, I might add, struggled valiantly to determine what the acronym "FECORE" meant. Hummer weakly chimed in but was in no way authoritative in seizing the initiative to set the other clowns straight. Quite the spectacle when the principal players can't even agree what their flagship Lollipop stands for. FEIC 2017 – FECORE Strikes Back! Quite the spectacle of bantering amongst the children of Israel while trying to hammer out the issue. And Moses Hummer was pretty weak in asserting the Lord's will in the matter, especially since he had pontificated the matter two weeks earlier in a radio interview. Maybe he should insure Aaron is at his side to speak on behalf of the Lord next time he's on Globebusters and the children of Israel rise up in rebellion to his leadership. After all, Moses Hummer has the mark of the Lord on the back of his neck. I wonder if Moses Hummer and the children of Israel have considered updating their website to reflect the hidden esoteric meaning of "FECORE," now that they've begun "striking back" against heathen insurrectionists commencing Lord's day last, in the name of all that is holy and Mark Sargent be praised! Amen, and Amen. Edit: I see this is on their "about us" page: "A collective operation of field engineers researching earth." Perhaps the Globebusters gang should spend some time at their own website devoid of substance.